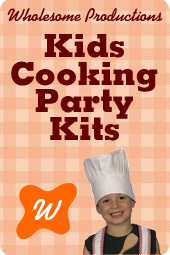 These all around children Luau games are great fun for your luau. Put on some Luau music and let the children take turns hula hooping. Have a basket of Island attire like a grass skirt, some colorful leis, flowers for their hair, luau flip-flops, a bright flowered shirt and anything else you can come up with that is tropical. See who can hula the longest and the best. How low can you go? No Hula-Luau party is complete without this popular game. You can make it extra fun by adding a few special touches. First, play a Limbo Party CD to set the mood. Pass out grass skirts for the players to wear (Hawaiian shirts for boys). Have the children form a line. Use a long stick, like a broom or mop handle, or even a steady stream from the water hose for the children to limbo through, meaning facing backwards they shimmy under the stick or water. Each time the stick or water is lowered. The contestant that goes the lowest is the winner. You can purchase the Limbo Kit Each if you wish. It even includes a Limbo CD. Before the party, assemble a basket with hula luau related items in it. A pineapple (artificial or real), a coconut (real or homemade), a banana (real or artificial), a lei, a grass skirt, a toy fish, sunglasses, a toy boat, a flip-flop, etc. Have the children sit in a circle and blind fold each of the players. Then pass around the basket to let them feel what is in it. When the basket has gone around the circle, pass out a piece of paper and a pen to each and have them write down what items they think are in the basket. The one with the most correct items wins. Make the luau games more difficult for older children. Items can be: a can of pineapple juice , a box of instant banana pudding mix, a bikini top, a limbo stick, a bag of shredded coconut, etc. Prior to the party, find some luau related pictures and glue them to plain white paper. You can download them or find them in magazines. Pick a child to be “it” and tape one of the pictures to his or her back. She then will turn around for a minute or two, long enough that the rest of the group can see the picture. Then she faces the group. Everyone will then begin to act out the picture using motions but no words. “It” has three minutes to guess the word. If guessed correctly, she gains one point. If not, it is the next player’s turn. Ideas for pictures include: a monkey in a palm tree, a sail boat on the ocean, a surfer dude, a luau fiesta, etc. With younger children, you may not want to have a time limit and you can have easier pictures like a fish or flower. This is a run that’s really fun! Divide the children into two groups and have them form two lines at the designated starting line. The players then have to run to the box of leis, put one on their neck and run back, passing it to the next runner but without touching it with their hands. The next runner will do the same thus having two leis and so on. The first team to finish wins. For older children, have the first player put on a hula grass skirt before he or she can run to the get a lei. When returning with a lei to pass off, he or she must take off the skirt and hand it to the next runner as well. * It is ok for the player to touch the skirt while passing it down, but not the lei. Fill some empty 2 liter soda bottles with sand. You can even make your own colored sand from a kit. Add some small sea shells in the sand. Set the bottles up like bowling pins and let the children take turns rolling a coconut (real or homemade) to see how many they can knock over. Each bottle they knock over counts as one and each child gets two tries each turn, one to try to knock them all over and the next to knock out any remaining ones. You can also purchase this Island Bowling set that comes complete with 10 plastic pineapple pins and two coconut bowling balls. Let the children take turns trying to hoop the flamingo. Flamingo Ring Toss luau games come with inflatable bird and 4 hoops. For older children, have them stand further back and on one leg to make the game more difficult. Before the party, create some island obstacles for the course. I have mapped out my favorite course but you can use your own imagination. You can use your own imagination to change it up. Your birthday child will no doubt have some great ideas to add.Designate a starting line. We use a line made from a lei. Line three hula hoops out, side by side, that the children must get through, one by one. Then the players must walk through the fire. We used four or five medium sized stones spray painted red. Then the cave crawl. Lay out a beach towel or blanket and the player must crawl from one end to the other. A large box works great too. In the next phase, the player must run from the end of the cave crawl to the lagoon and jump over it. I used a blue towel. Place a plastic soda bottle full of sand at the end of the trek. The contestant must grab the bottle and run it back to the next team member in line. Just before the game begins, divide the party into two teams and tell them that they have been marooned on an island. In order to reach safety, they must complete the island obstacle course and return with the message in the bottle. Set a timer and time each team. The team that finishes in the least time wins. Use colored sand in the bottle for a fun touch. You can even make your own with a sand coloring kit. Fill a suitcase or large box with items you would take or encounter on a luau vacation. Items can include: shorts, a Hawaiian shirt, a grass skirt, a lei, thongs, sunglasses, a coconut (real or homemade), a pineapple (a real one or even a sip cup that you can use later as well), a plastic fish, a starfish and sea shells, an airplane ticket (you can make your own if you don’t have an old one), a bathing suit, beach towel, etc. Pass out pencils and paper and have the group sit in a circle. Cover the suitcase or box with a beach towel until time then uncover it for a minute or so, making sure all items can be seen. Then, cover the container and have the children write down what they can remember of the items. The person who remembers the most, wins. If you use a pineapple sipper cup, it makes a good prize for the winner. Play bingo the Hawaiian way. This inexpensive and convenient game comes with 8 game boards and 24 different Hawaiian words (with English spellings as well). The colorful marker pieces cover the squares when a match is called. Divide the group into two teams and have them form two lines. Give the first child on each team a coconut (real or homemade) that they will hold with their neck. On the count of “three”, the players will attempt to pass the coconut, player to player, to the end of the line. Each player must only hold the coconut with his or her chin and neck. The first team to successfully pass the coconut to the end of the line wins. Try this new tropical twist to the old favorite game of hopscotch. Assemble some hula hoops like a hopscotch path, two side by side then one then two, then one. Have the children line up and take turns throwing a sea shell into one of the hoops. It has to land inside the hoop or they lose their turn and have to pass the shell to the next player. But if they do get it right, the fun part begins. The player hops through the hula hoops, skipping the one with the sea shell in it. The child can’t have more than one foot on the ground at a time though, except for when there are two hoops side by side in which case both feet must touch at the same time. When he or she gets to the end of the course, they must turn around on one foot and hop back in reverse, using the same rules but skipping the hoop with the shell and picking it up to pass off to the next player. Hula hoops are available in sets like the one above. This game is played like hot potato, but with an island flair. Use our instructions for a homemade paper mache coconut and put on a Luau CD. The children pass the coconut around the circle, person to person, quickly as if it were hot. When the music stops, whoever has it or last touched it, is out. The game continues until there is only one person left and that child is the winner although, as we know, everyone is a winner. Fill a small wading pool or large bucket with water and float some plastic fish in it. Let the children form a circle around the water and then take turns trying to “catch a fish” using only his or her mouth. The game is so fun you will want to go around the circle several times until each child has had two or three turns. Before the party, fill a container full of sand. A sandbox or wading pool works great and so does an inflatable palm tree or swim ring drink cooler. Or, you can paint a box black or dark brown. Toss loose change like pennies, nickels and dimes in the sand and bury them. On the count of “three” have the children “dig in” to find the hidden treasure. Give them loot sacks or sand pails to put the money in and see who can find the most. You can purchase a sand coloring kit to decorate the sand and use it for more fun luau games and projects too. Have the children sit in a circle. One player begins the game and rolls a beach ball to another player as quickly as possible. When a player receives the ball, he or she must say an item they would take to a luau. Here are a few examples: bathing suit, a lei, a beach towel. If a player doesn’t say and item, he or she is out of the game. The object of this game is to pass the hula hoop around the circle from arm to arm. Have the children stand in a circle and give one child a hula hoop to put on his or her arm. The player then passes it to the child next to him or her and so on down the line. For more fun, put on some Luau music and have them go as fast as they can once they get the hang of it. If a player drops the hoop, he or she must stand in the middle of the circle.